St. Nikolay Chudotvorets Eye Clinic opened an ophthalmologist’s office in Dobrich on 14, Zahari Stoyanov Str. We provide examinations by a medical professional using modern, high-tech equipment. The ophthalmologist’s office has a contract with the National Health Insurance Fund. 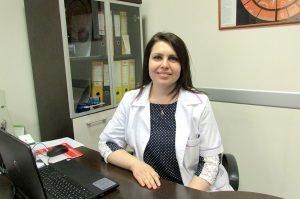 She graduated medicine from the Medical University in Varna in 2001.